Building a roof on your home? It can be a struggle to pick because of all the options. You want something that won’t hurt your wallet but also sturdy enough to keep it over your head for a long time. You may also want something that’s more energy efficient because not only will that keep your power bill down, but it makes mother nature smile as well. Having a roof that’s sustainable will also make you feel good as a person. Just in case you’re having issues choosing, here are a few eco-friendly materials that you can build a roof out of and their various pros and cons. A white roof of any material is also known as a cool roof and for a reason. The color white tends to reflect the suns’ rays away from your home, thus cooling it. This means the inside of your home will stay nice and comfortable during the summer so you won’t have to run your air conditioning as much. So, going with this option allows you to save a little bit on your power bill. The most common material you’ll find of the white shingle variety is asphalt. They are also one of the most inexpensive eco-friendly roofing options. The only problem is that if you do go with the asphalt option is while it’s energy efficient it’s still made of a material that is impossible to recycle later on. If you really want to be eco-friendly, instead of going with the asphalt option, consider white metal. It might be a little more expensive, but it’s better for the environment and has the same effect. Speaking of metal roofs, Standing-Seam Metal roofs are extremely durable and repel the sun’s rays just like white roofs do. Metal rooftops are also recyclable later and you can buy ones that are made out of recyclable material. Again, metal rooftops are a little more expensive than asphalt ones and if you live in an area that gets a lot of snow it might not be the best option if you want to be able to eventually leave your home to get groceries or go to work. The snow slides off the roof and will create piles of snow around your home. A large number of shingles available today are made out of recycled materials like wood, plastic, and rubber. Perhaps the best thing about recycled shingles is even though it’s made out of this material, is durable and looks really nice. They aren’t as light reflective as metal roofs or white roofs because they don’t typically come in white. This means they don’t have as big of a cooling factor. This might change on down the line though. Clay and slate are both beautiful, durable materials. Clay and slate can stick with you for a hundred years or more and they will give your home an elegant Spanish look. While most of the time you’ll find these in red, you can get it in lighter shades to take advantage of the cooling benefits. They won’t be as easy on your wallet as some of these other options though. Clay is typically expensive and also heavy. Your roof is going to need a little reinforcement before you can even think about putting the tiles on so you’ll have to pay a little extra to have this done. You’ll also have to pay for regular maintenance because clay and slate are known to chip. Still, if you can get past these few expenses, you’ll have a roof that you won’t have to replace during your lifetime. Wooden shingles are completely natural and biodegradable. If you really want to go the extra mile, you can get your shingles made out of wood from sustainably managed forests. They will also give your home a classic look. As you can imagine though, wooden shingles are fairly flammable. So if fire danger is high where you live, this might not be the option for you. They are also more expensive but less durable than metal shingles. At one time solar panels were too expensive to even consider putting on your home, but over the years the price has gone down. 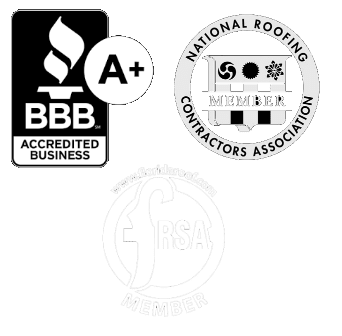 On top of the energy savings that you’ll get from this add on, they also fit on most rooftops so your roofing material decision won’t be affected by them. Even though the price has gone down substantially from what it once was, they are still fairly expensive to install. The installation costs are pretty nuts and your energy savings won’t make up for it. Due to this, it’s best to not go with this option if you plan on moving anytime soon. Planting a green roof on to your home will add a bit of insulation which will cool down your entire home. It also greatly reduces the amount of stormwater runoff all while cleaning the air. Having a green roof also adds to the natural beauty of your home. Depending on the size of your roof and the type of garden you want to go with the installation can be a little pricey. Your roof might also need a little reinforcing to handle the weight of both the plants and the soil too. Upkeep can also be a problem because it will need regular maintenance and if a contractor needs to get in to fix something they will have to go through the green to get to the problem. It can be a struggle deciding what material to use when building a roof. There are a lot of options available and only a few of them are eco-friendly. You also have to factor in your budget and how long the roof will last you. Use this guide on eco-friendly roof options to help you make a decision. 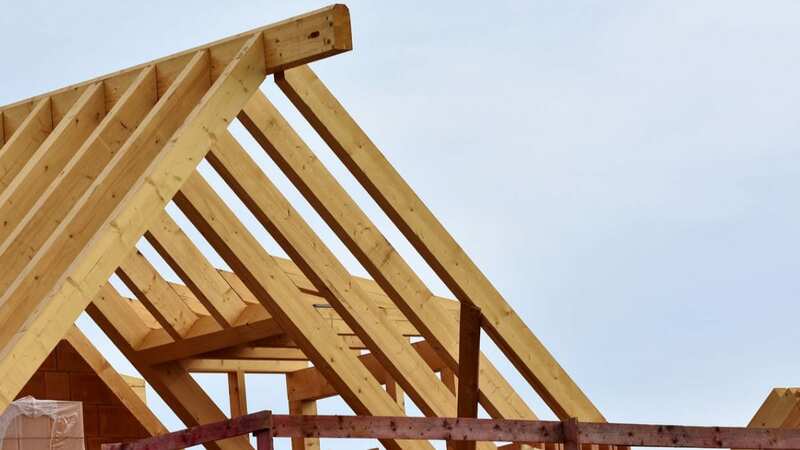 So you’ve built your roof, but how do you keep it on your home? 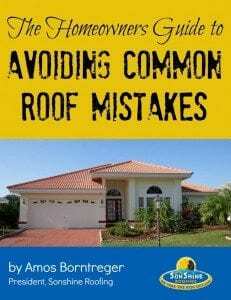 Keep reading for tips on how to extend the life of your roof.